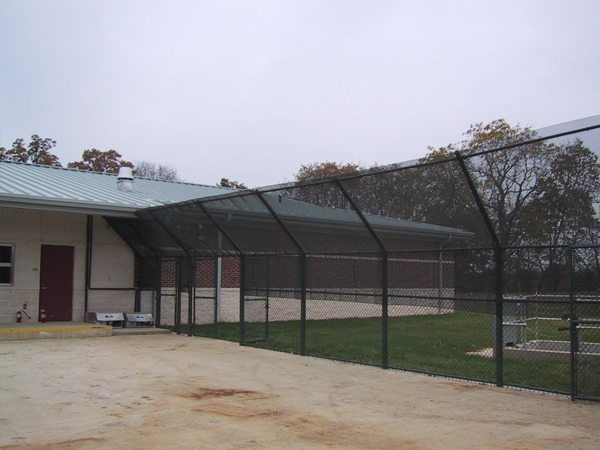 When it comes to facility security, fencing is always your first line of defense. Chain link fencing offers an affordable fencing solution that will bolster the security and the perimeter of any facility. 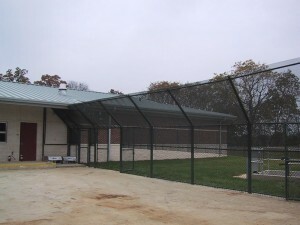 According to the Chain Link Fence Manufacturers Institute, chain link fencing is ideal for security, “because of its strength, corrosion resistance, ‘see thru capabilities’, ease of installation, versatility, variety of product selection and value.” So how specifically does chain link fencing increase the level of security of a facility? Learn more in this week’s blog. How Does Chain Link Fencing Increase Security? It serves as a visual representation of the boundary of a facility. When people can see where the boundary of a facility is, they are less likely to cross it. Even an accidental crossing can trigger alarm systems and generate a security response to a non-threat. While the intruder may not have done so intentionally, they will have wasted resources in triggering a response. It creates natural entry points to a facility through gates so that visitors know where to enter. These entry points also help security staff to concentrate resources. Other security components such as video cameras and intrusion detection equipment can be installed on fencing. The fencing serves as a default location for this equipment to go. Intruders will not be able to feign accidental intrusion on the grounds. Climbing a fence demonstrates an overt interest in knowingly trespassing on the grounds of the facility. Psychologically, fences serve as a natural deterrent. The creation of a boundary with a chain link fence means that fewer security personnel are required to patrol perimeter lines. If an intruder is detected while attempting to climb a fence, the fence creates a delay in their intrusion time that allows the security team to respond. It demonstrates that the facility has a vested interest in security. It allows security personnel to see what’s happening on the outside of the perimeter while still presenting a barrier between the outside world and the inside world. Are you interested in learning more about chain link fencing in Richmond? We can help you choose the right fence for your needs. Hercules Fence of Richmond has been providing professional fence installation and service in Richmond for more than 50 years. Call us at (804)752-7992 or contact us on our website to learn more about residential and commercial fencing in Richmond. This entry was posted on Friday, February 20th, 2015 at 7:57 pm. Both comments and pings are currently closed.